By Arianne King, managing partner, Al Bawardi Critchlow? UK construction is a complex industry. The largest projects tend to be managed by major contractors, which – in order to boost man power or access specialist skills – subcontract the different aspects of the project to a myriad of more specialist companies. It’s not unusual for tens or even hundreds of different firms to be involved in the largest of projects. From a legal perspective, the client will ordinarily contract with the main contractor. In turn, it will then agree terms with each subcontractor. 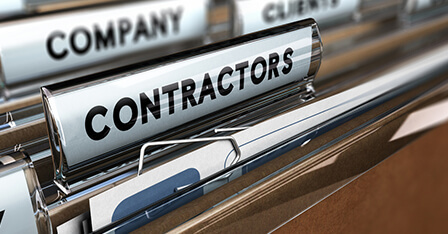 These main contractor/subcontractor agreements are often based on a standard form contracts. Not only is this convenient for both parties, it ensures that all necessary aspects are covered and that there is a balanced allocation of risk. In the UK, the most common contract template is issued by the Joint Contracts Tribunal (JCT), which updates its standard form contracts and guidance to take into account of changes to legislation. Large constructors regularly issue these standard contracts to subcontractors, yet they are often accompanied by a lengthy ‘schedule of amendments’ which stipulate extra requirements and added liabilities. Often drafted by the main contractor’s legal team – which is usually well-resourced and supported by external legal expertise – they often tilt the balance of risk heavily in their own favour. On the flipside, this means they often place subcontractors at extreme risk. Contracts will often be amended to include condition precedents to payment. These can seriously restrict the sub-contractor’s contractual rights if it fails to comply with them. Common conditions precedents include: a requirement to provide specific documentation as a condition precedent to payment; a requirement to give notice of delay within a specified time as a condition precedent to an extension of time (failure to do so may mean the sub-contractor is hit by heavy delay damages), or a requirement to carry out specific tasks as a condition precedent to practical completion being certified. It is often the case that a contractor will limit its liability, as far as is legally possible, thus leaving massive exposure for the sub-contractor. On the flip side, they often leave the sub-contractor with unlimited levels of exposure. It is therefore vital to thoroughly review any limitations on liability, as failure to do so can even lead to insolvency. Contracts are often amended to include a fitness for purpose obligation, as opposed to an obligation to exercise reasonable skill and care, whereby the subcontractor warrants that the completed works will be suitable for the purpose stated in the sub-contract documents, complying with any performance specification or requirement. This means the subcontractor effectively guarantees that the components and the finished building will be fit for their intended purpose. This is dangerous. For instance, In the case of Robin Rigg v MTH, the subcontractor was sued for complying with a universally accepted international standard that turned out to be incorrect, because the work was not considered fit for purpose. Sometimes the main contractor may insert a provision to terminate down the chain at any time and without cause. This can be financially distressing for the party being terminated, particularly if they incurred significant sums in securing resources, plant and materials and have turned down other jobs in the belief that they would be working to capacity on the project before them. The contract should state – in clear terms – the amount that should be paid and when. Variations to the original scope of work – and how they impact provisions for payment – should be included for the subcontractor’s protection. Furthermore, the more precisely payment terms are defined and adhered to, the more likely it is that fees will be paid promptly and fee related disputes will be avoided. In the absence of a clear payment provisions, and in the event of a dispute as to how much should be paid in exchange for services actually performed or goods provided, the parties may find themselves in the uncertain position of having to rely on a quantum meruit payment; this is an analysis by a court of what is a fair and reasonable payment for those services or goods. Subcontractors all too often sign up to these terms. This might be because, as mere amendments to standard JCT contracts, they simply presume the terms are fair and appropriate. Others recognise their bias, but only after they have signed the terms and a dispute entails. Some just agree to the terms as they don’t want to jeopardise an important working relationship. However, signing up to such clauses could present a particular risk to operations; even worse, it could imperil the future of their entire organisations. Many smaller constructors call in the lawyers to help when they are being sued or are at risk of breaching their contract, however unfair. But by then it’s often too late.